Friday October 13, 1307 is the date widely accepted as being the day the Knights Templar were annihilated, but in fact the purge is documented to have continued until 1314 – a seven-year period that allowed ample time for the remaining Knights to vanish, taking with them their secrets and wealth. Having been betrayed and abandoned by the Church and hoodwinked by the King, the Templars disbanded. Individual groups merged into several other European orders. But one segment of the Knights Templar, the one bearing all of the order’s great secrets, artifacts and gold, needed a safer haven than their brothers had found. Protecting themselves was secondary to protecting their treasures. So the search began for the perfect hiding place. 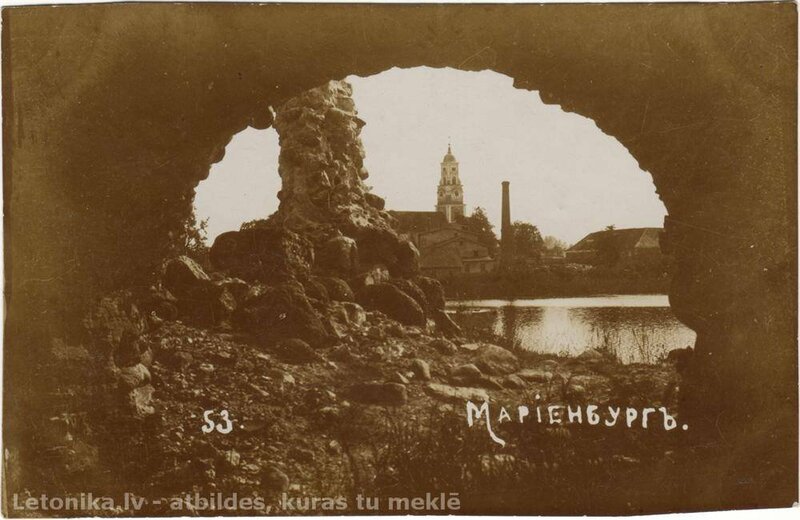 Connoisseurs of historical legends and myths are convinced that the mysterious Knights Templar gold was stored in Marienburg – the historical name of Aluksne, a town located in present-day Latvia, in a castle of the Livonian Order. You can still hear legends told by the locals about the gold of the Knights Templar once stored in the castle. Information has also been published online. Ships full of treasure sailed to Latvia, they say, and some of it is still hidden there. But how was such a huge amount of gold transported there unnoticed? The answer is simple. At that time France was already exporting wine in barrels in different directions. Some of the barrels were half-filled with treasure then covered with a layer of wax, and second half with wine. The barrels were transported to Latvia and kept in the castle’s wine cellars together with the usual barrels. Riga began to develop as a centre of Viking-dominated trade during the early Middle Ages. The Chronicle of Henry of Livonia testifies to the city having long been a trading centre by the 12th century, referring to it as an ancient port and describing dwellings and warehouses used to store mostly corn, flax and hides. Officially, the city was founded in 1201 by Bishop Albert I. Albert landed in Riga in the year 1200 with 23 ships and around a thousand eager crusaders. The Livonian Brothers of the Sword, later called the Livonian Order, was founded by Bishop Albert himself. Before his arrival, though, Rigans had been quite poor, with just two small stone castles and a wooden church, a parsonage, several warehouses and a pier. That was all they could manage to operate with their funds. Then, abruptly, in 1315, just a year after the purge of the Knights Templar was supposedly completed, Riga and its surrounding territory experienced an unexplained economic boom. Almost simultaneously, construction began on no less than 34 castles complete with towers and excellent access roads. Buildings popped up like weeds. Foreign architects and bricklayers were brought into Livonia to ensure the quality of these massive building projects. Where did this tremendous and sudden wealth come from? Some argue that the Baltic region's warm seaports may have suddenly begun to export many more goods. During this era, however, records show that the region was importing much more than it was exporting. In fact, nothing at all seemed to change dramatically during this time, except for the mysterious economic windfall. It is believed that Knights Templar were never fully destroyed. The knights joined other orders and passed their knowledge from generation to generation. A red eight-pointed cross was embroidered on their coats of arms; the Livonian one is identical, but black. And both orders had the same patron saint, Maria Magdalena. The name of Aluksne was first mentioned in the Pskov Chronicles in 1285 under the names of Olysta, Alyst, and Volyst. The castle of the Livonian knights was built here in 1342 on the biggest of the islands in Aluksne Lake. It was named Marienburg, after Mary, mother of Jesus, and a settlement that emerged around it became known as Marienburg as well. Some historians are sure that the castle was built with the purpose of hiding Templar gold and documentation. But the question is the same: where was the gold hidden? Archaeologists say that crocks filled with gold were immured in the castle walls, under the windows where the walls were almost 2 meters wide. Others argue that the treasures were hidden not inside the castle but nearby. The Templars were masters at creating hidden cellars and underground passages. It is known that all Livonian castles had them. Whatever repository was built for the treasure was constructed separately and camouflaged carefully. Arnold von Vietinghoff was the commander of the castle and later he became Master of the Livonian Order – a post apparently given to the Templar “treasure keeper”. Over the centuries the castle has been a desirable target. 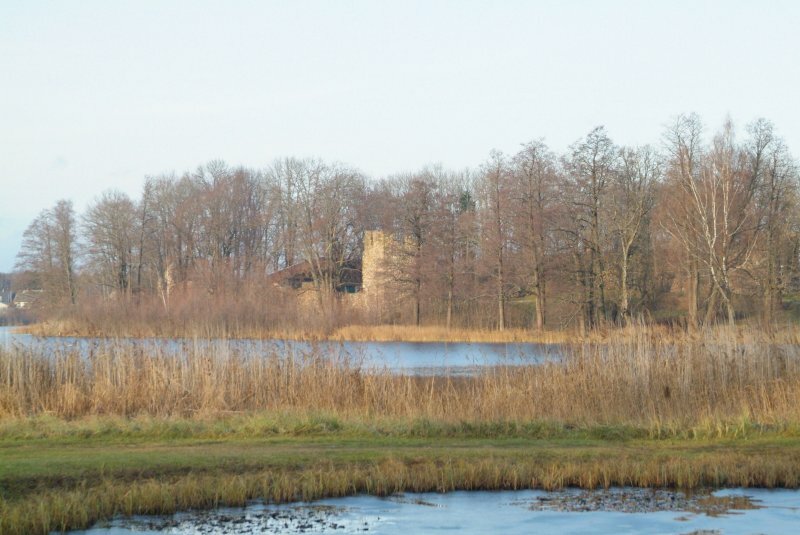 Today, on island in the middle of the lake, only the ruins of the castle can be seen. Marienburg was captured by the troops of Ivan the Terrible of Russia in 1560 during the Livonian War. Later, in 1582, it was incorporated into the Polish-Lithuanian Commonwealth. Then the town became part of the Swedish Empire in 1629, but not for long. A Russian army led by General Sheremetev captured the town during the Great Northern War in 1702. Since the Swedes did not want to leave it to the Russians, Swedish Captain Wolf blew it up. Sheremetev was furious. But, according to historical evidence, before the blast all of the castle’s treasures were transported out through secret underground tunnels under the lake. 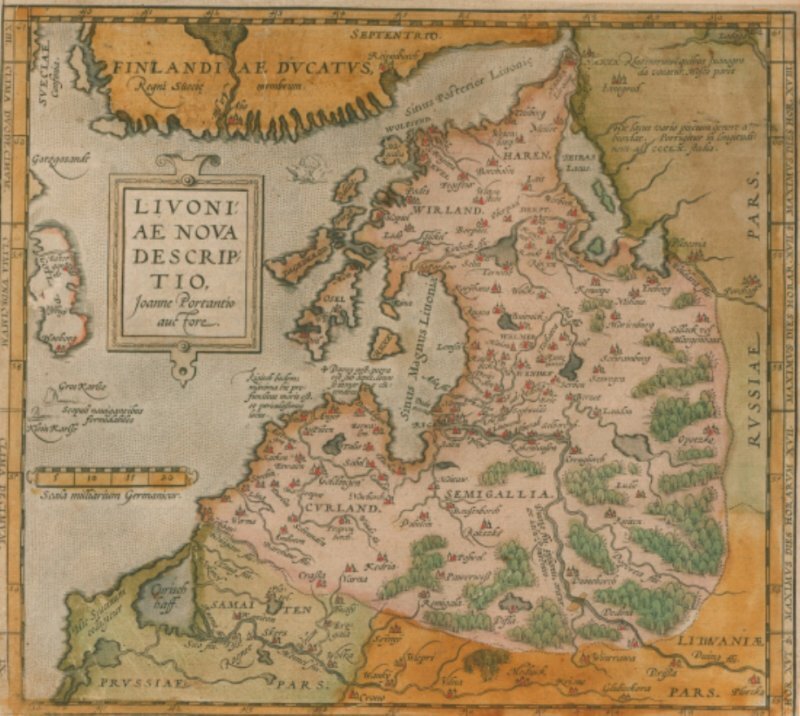 The war between Russia and Sweden ended with the signing of the Treaty of Nystad in 1721. Marienburg was under Russian occupation for the next two centuries. Russian Empress Elizabeth gave the city as a gift to her chancellor, Count Voroncov, and he in turn sold it to a secret adviser, none other than Count Otto Herman von Vietinghoff, heir of Arnold von Vietinghoff. The career of this uncouth Baltic baron, who retired from the Russian army when he was 35 years old, skyrocketed. His posts rapidly improved, from secret councilor to senator to director of the medical board and finally to chief patron of the Russian Empire. In Riga, he established the famous House of Musse, the first club for the aristocracy, with a theater where the likes of Richard Wagner and Clara Schumann performed. The best architect was hired, Christoph Haberland, who also built the grand-looking Lutheran church in Aluksne and designed the surrounding park. The von Vietinghoffs were secured for posterity. Each generation built its own castle in the vicinity of the town. In 1868, the latest von Vietinghoff moved into a luxurious new castle built in the Tudor Gothic style. Intriguingly, behind this castle stands the family wine cellar; who knows, perhaps this is the place where the treasures ended up. 1. 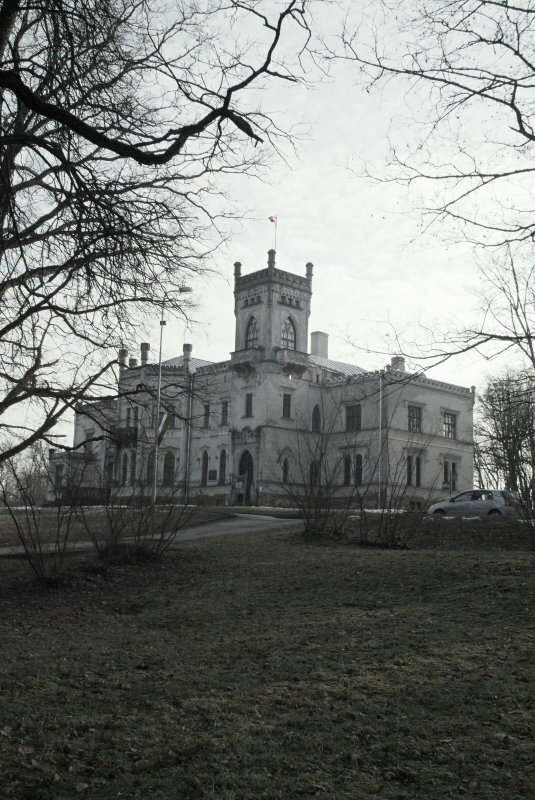 The new castle of Aluksne with its surrounding parks – the residence of the von Vietinghoffs will impress with its architectural majesty and aura. The main facade with its polygonal hall is buttressed to the north and the park terrace has a panoramic view of the lake. Unfortunately, the family took most of the decor with them when they traveled to Germany in the early years of the 20th century. Behind the castle you’ll see the wine cellar. 2. The Mountain of the Temple (Templakalns) is a 35-meter-high hill on a peninsula in Lake Aluksne with a granite structure on the top which von Vietinghoff built in 1807 in memory of the Great Northern War and its key commanders, the Swedish Captain Wolf and his foe Russian Field-Marshal Sheremetev. 3. The ruins of the Livonian Castle on Maria's Island. In subsequent centuries it was inhabited by Germans, Russians, Poles and Swedes and it remains the most popular spot for treasure seekers. Some objects have been found, but it is believed that plenty more are still buried. 4. 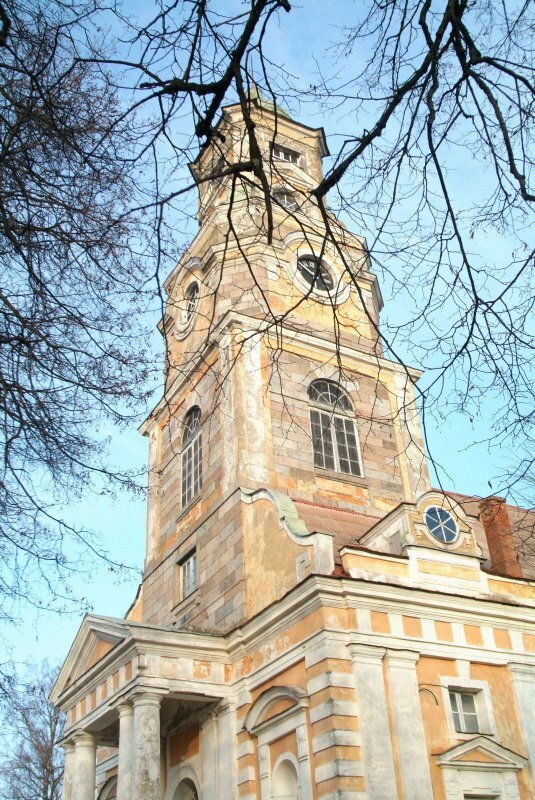 Aluksne’s Lutheran church, built between 1781 and 1788 on the initiative of Otto von Vietinghoff, is a remarkable example of early Latvian Classicism. The architect was Christoph Haberland and the tower stands more than 55 meters tall. The size of the church is surprising for such a small town as Aluksne. Inside, there’s a collection of paintings and the original copy of the very first Bible translated into Latvian. Kuldiga, an ancient picturesque town in Courland (Kurzeme), is as covered with historical legends as Aluksne. The origin of its name is unclear, though initially the castle here with fortifications around it was named Jesusbourg. Then, in 1245, it was mysteriously renamed Goldingen, or "store of gold". 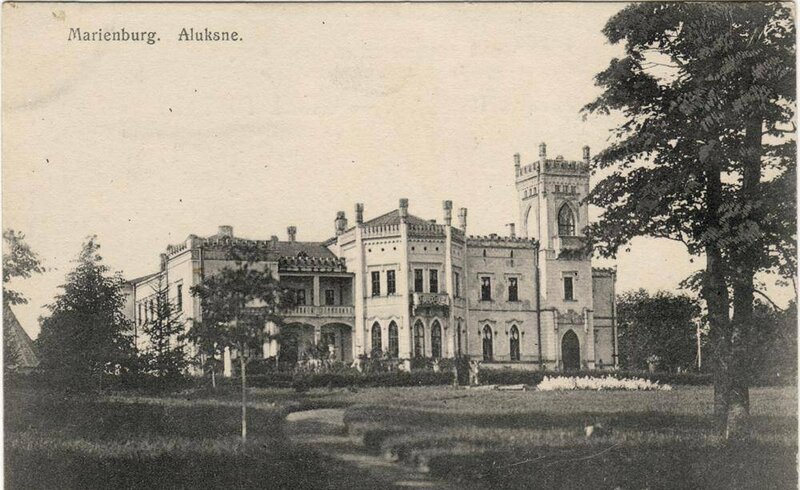 At that time this Livonian castle was the biggest in the region, but unfortunately it was destroyed. The ruins show of a lot of niches, perhaps evidence of secret underground tunnels and storage areas for gold. The castle’s commander was Arnold von Vietinghoff – the same man who led Marienburg. The statutes of the Livonian Order were changed so that the commander of Kuldiga and Aluksne possessed exclusive and unlimited power. He was allowed to keep his own army, but could start a war only with the approval of the master of the order. In 1610, Wilhelm’s son was born, Duke Jacob, who is well known in Latvian history. He was the godson of James I of England. The question arises: why should such a powerful monarch care about the heir to a small and insignificant duchy on the edge of Europe? Was it because Wilhelm Kettler was continuously lending money to the English king, probably taken from the Templar treasures? Over time, the debt reached 1,800 pounds, a significant sum in those days. When Jacob was already a Duke, he demanded the money back, but unfortunately the English king had no such money. In return, he offered the island of Tobago to the duchy. The Duchy of Courland and Kuldiga now experienced a boom, including countless new factories and textile mills and the construction of a fleet of ships. It is certainly believable that Duke Jacob was the heir to the Templar treasures. At the time Kuldiga was even called Little Versailles as the town shone with glory and modern development. During the Great Northern War in 1702, King Karl XII of Sweden stayed there for more than a week – searching for the treasure secretly. Even his personal bodyguards were sent back to Sweden. 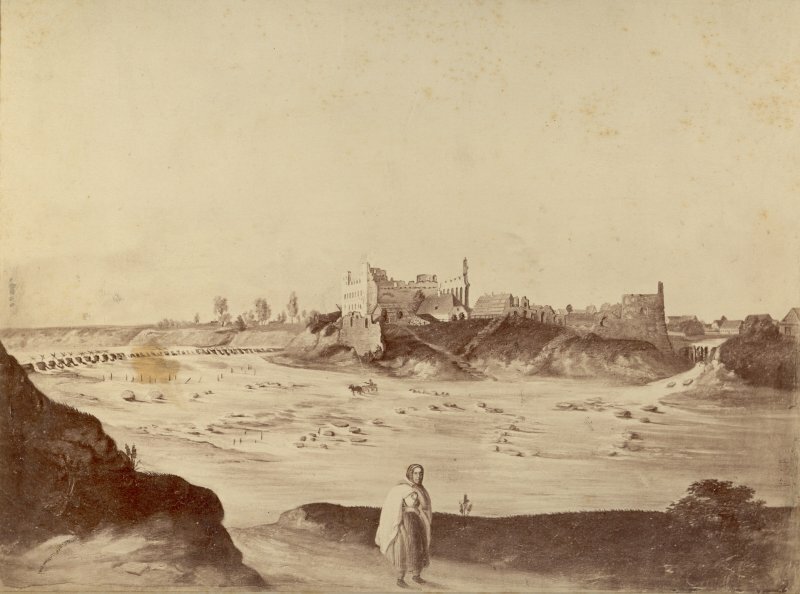 The castle was destroyed during the war. But in 1764 the famous lover and adventurer Giacomo Girolamo Casanova was hired to search for treasure in Courland. 1118 The Order of the Knights Templar is born. Journeys to Israel. 1127 The Knights Templar return to France. 1139 A Papal Bull is issued by Pope Innocent II stating that the Knights Templar should owe allegiance to none other than the Pope. 1146 The Knights Templar order adopt a splayed red cross as their emblem. 1307 Templar ships leave La Rochelle, heading in an unknown direction with much of their wealth. 1307 Knights Templar are arrested in Paris and charged with heresy. 1312 All property owned by the Templars is transferred to the Knights of St John (The Hospitallers). 1314 Jacques de Molay and Geoffroi de Charney are burned at the stake. rest. I hope they are available in that foarmt as it is the only way I read anymore.